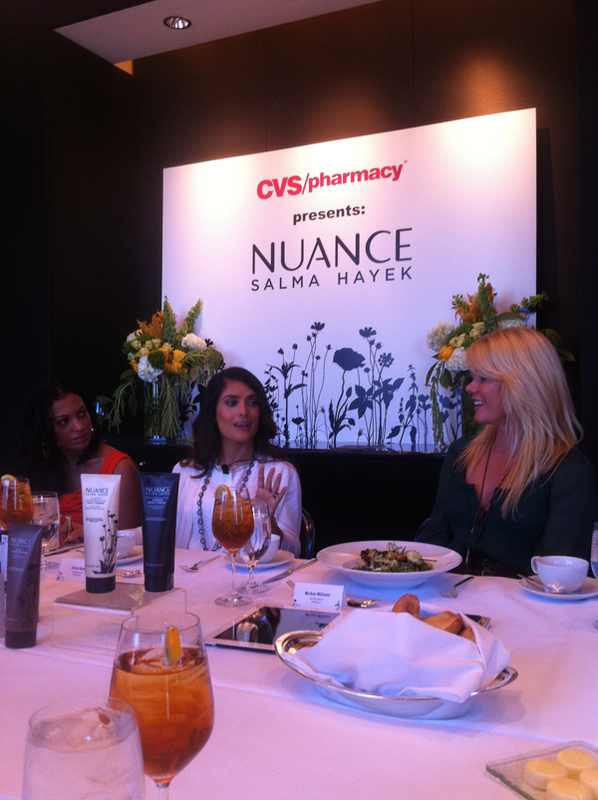 Last week I had an amazing opportunity to meet Salma Hayek during lunch in New York City at the Mandarin Oriental Hotel and chat all about her new superstar cosmetics line for CVS Pharmacy: Nuance Salma Hayek. Although Salma Hayek admitted to being tired & jet-lagged she looked absolutely beautiful at lunch. At age 45 Salma is truly one of the best looking natural beauties I’ve seen. 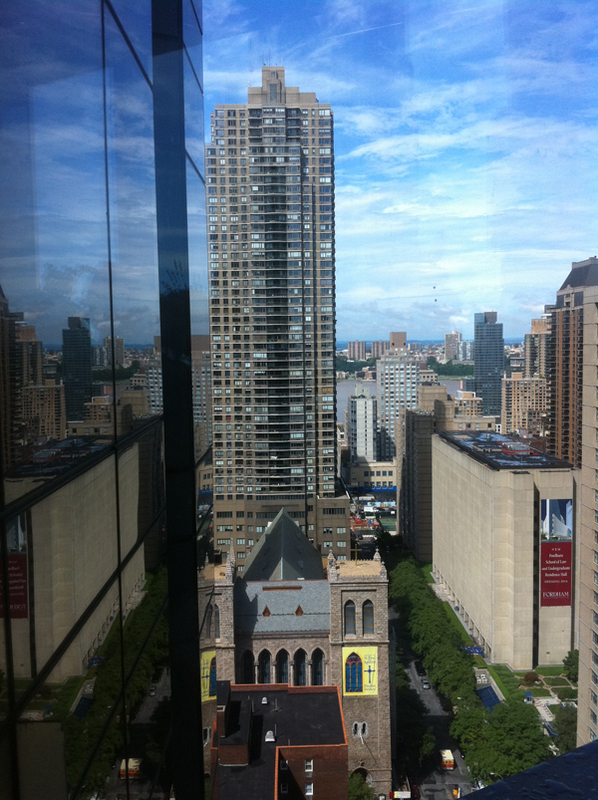 It’s not easy to come up with one good product not alone a whole cohesive cosmetics line. I’m glad to see that Hayek is using her uber celebrity power to create products that actually work and mean a lot to her as oppose to just put her name on anything like some other celebs do (and I’m not naming any names). 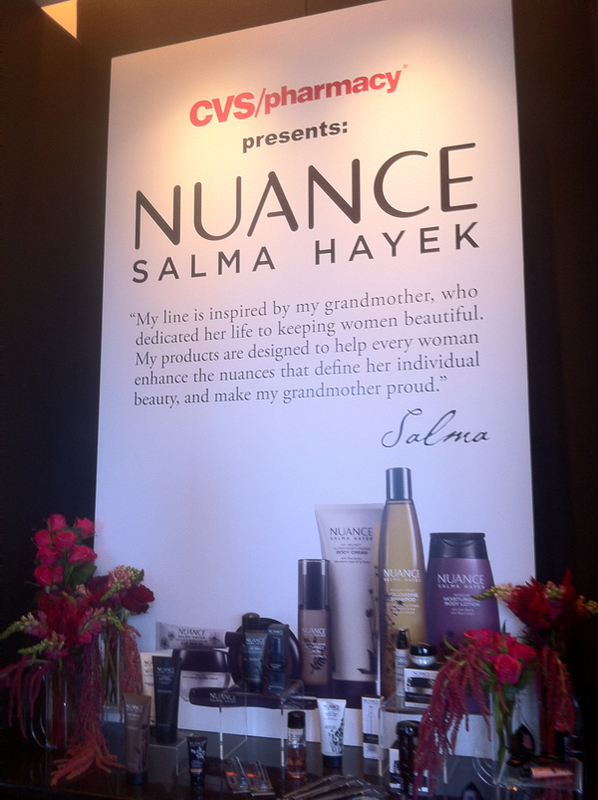 Nuance is worthy of some of the fanciest store shelves but Salma has chosen CVS Pharmacy and we couldn’t be so lucky. Her cosmetics line is the best thing that happened to a drugstore. 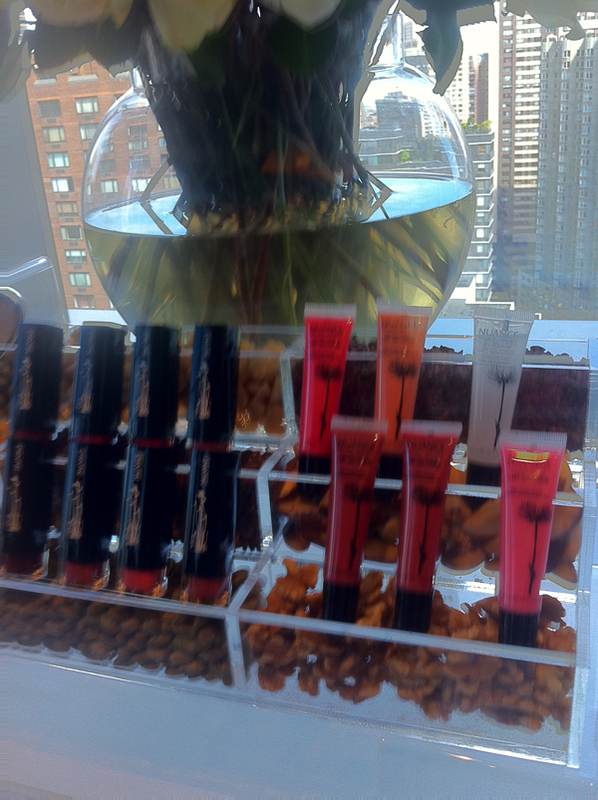 Maybe it’s a new era, affordable quality cosmetics within our reach. I was fast to learn that Salma Hayek just like me is a true beauty junkie. She wasn’t afraid to demonstrate her products. Salma Hayek demonstrating the very fabulous and my favortie also the Nuance Salma Hayek Oxygen Activated Foaming Face Wash. She thought this face wash lathers so well men can shve with it. 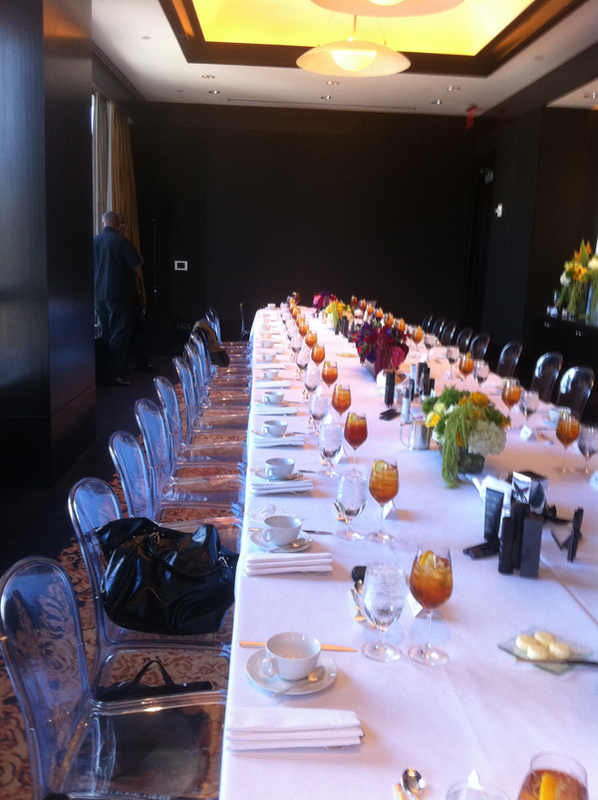 The Lotus room at the Mandarin Oriental hotel is ready for lunch with Salma Hayek. 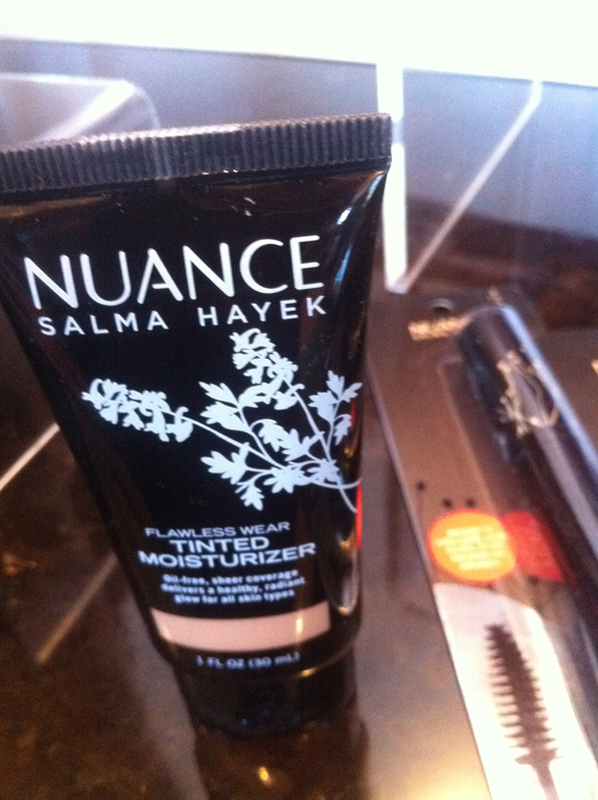 Another one of my favorite Nuance Salma Hayek Flawless Wear Tinted Moisturizer in Medium which is also Salma Hayek’s shade. 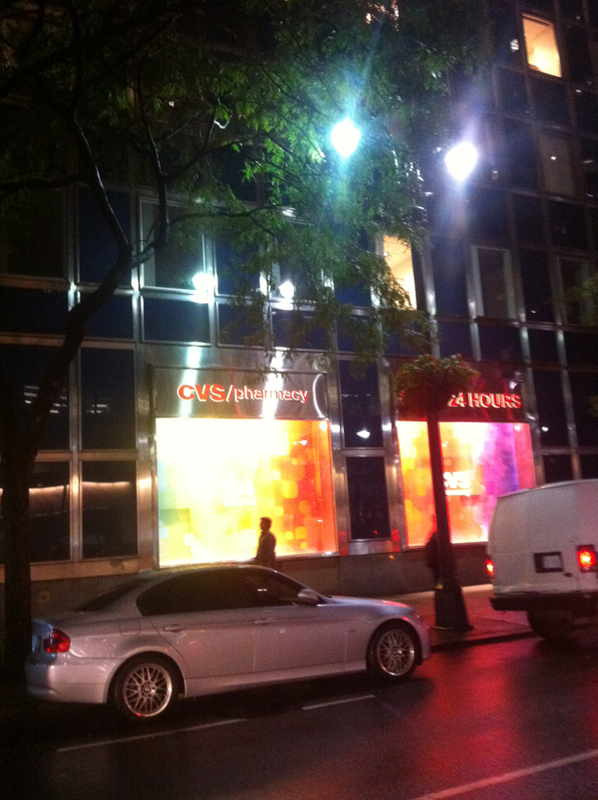 As soon as my cab arrived the city aka New York City I see CVS Pharmacy looking so vibrant.